Veterans discuss the state of politics in Pennsylvania at American Legion Post 175 in Washington, Penn., on Feb 28. Susanna Dejeet, a retired marketing and education professional, says she will vote for Republican candidate Rick Saccone for Congressman, in Canonsburg, Pa., on Feb. 27. David Podurgiel says he will vote for Republican candidate Rick Saccone for Congressman, in Canonsburg, Pa., on Feb. 27. Jojo Burgess, a union worker from Washington, Pa., says he will vote for Democratic candidate Conor Lamb for Congressman, in Canonsburg, Pa., on Feb. 27. Rosemary Bigley, of Service Employees International Union, says she will vote for Democratic candidate Conor Lamb for Congressman, in Canonsburg, Pa., on Feb. 27. 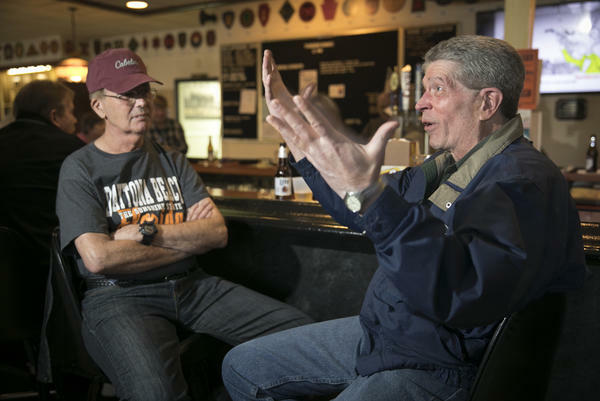 Washington County Republican Party vice chair Dave Ball is interviewed by NPR about Republican candidate Rick Saccone at the Southpointe Golf Course in Mount Lebanon, on Feb 28. Canonsburg, just south of Pittsburgh, is one of the areas where Democrat Conor Lamb and Republican Rick Saccone are fighting for votes. 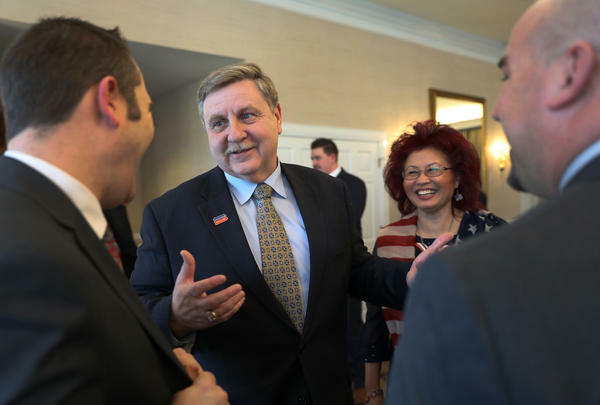 Republican candidate for the U.S. House of Representatives Rick Saccone and his wife Yong Saccone chat with supporters at a fundraiser at Southpointe Golf Club in Canonsburg, Pa., on Feb. 28. 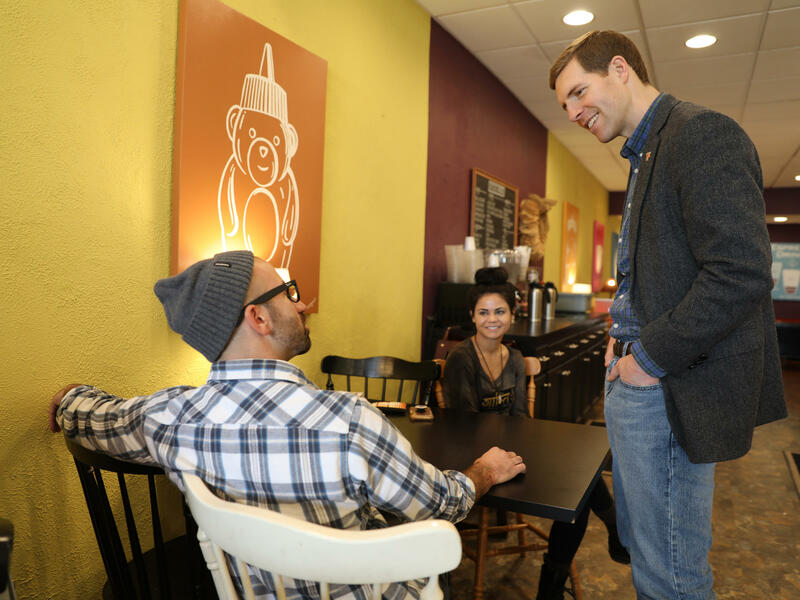 Democrat Conor Lamb, right, chats with Justin Torrence and Chelsea Carbonyl, left and center, while campaigning for the U.S. House of Representatives in Mount Lebanon, Pa., on Feb. 28. Democratic candidate for U.S. Congress Conor Lamb has signs up in Mount Lebanon, Pa., on Feb. 28. Rick Saccone, the Republican, and Conor Lamb, his Democratic opponent are vying for a seat that opened in October when eight-term Congressman Tim Murphy resigned following a personal scandal. As NPR's Two-Way blog reported, Murphy allegedly asked a woman with whom he had an extramarital affair to get an abortion. 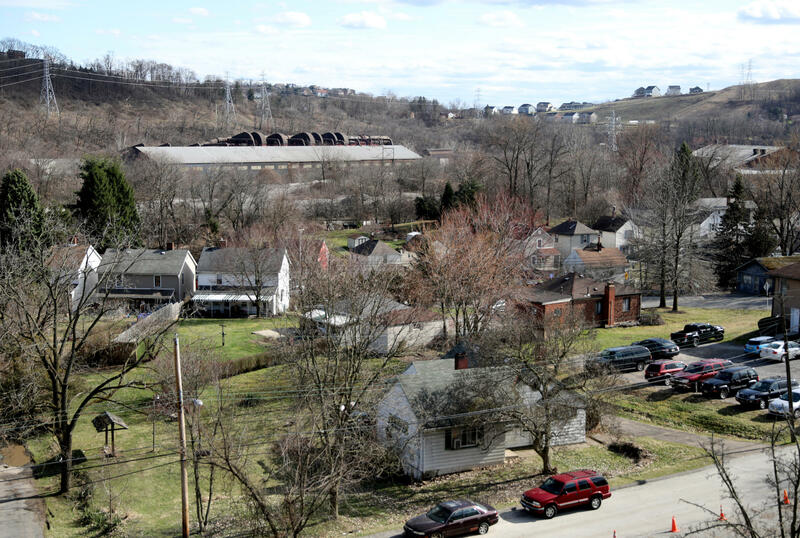 Murphy's old district stretches from the mostly liberal suburbs of Pittsburgh, south into conservative, rural areas that are dominated by the energy industry. For more than a decade, Murphy maintained support from across the district, but while this is a regional race, polarized national politics loom large and the two campaigns are using very different strategies to woo voters. "This race has national implications," says Terry Madonna, a political scientist in Pennsylvania. "Can Lamb eat into the margins that Murphy won in the past, and of course, the margin that President Trump carried?" That question is especially important to Republicans. A loss in this district would not only be deeply embarrassing for the party, but might show an erosion of support among voters who supported Trump in 2016. "I was Trump before Trump was Trump"
On a recent Wednesday evening at a fundraising event in a plush country club in Canonsburg, Pa., State Rep. Rick Saccone took the mic and prompted the crowd with a question: "Is this Trump Country?" The answer: loud cheers and applause. That's good news for Saccone because, as he told WESA in November, he was, "Trump before Trump was Trump." It is a comment meant to underscore his conservative bona fides — Saccone spent his tenure in the Pennsylvania state legislature, pushing an agenda that was conservative even by conservative standards. He tried to get public schools to teach the Bible and wanted to make gun owners a protected class against discrimination. Now, Saccone is promising voters he will go to Washington, D.C. to support the president's agenda – rolling back government regulations, repealing the Affordable Care Act, and cutting taxes. "He's getting beat up, he's getting some resistance," Saccone said of President Trump, "He needs some wingmen down there to help him." The White House and the Republican Party have pulled out all the stops for the Saccone campaign: The president and vice president have both visited the area. This past week, at that country club fundraiser, Secretary of Labor Alexander Acosta was on hand to stump for the president – and for Saccone. The gist of his message: ignore the media and look at the stock market. "I'd ask all of you when you go home tonight, check your retirement accounts," Acosta told the crowd. "That is not a theoretical increase, that is real money." Meanwhile, the Republican Party machine and billionaire Joe Ricketts have poured millions of their own money into the race, filling local airwaves with ads attacking Conor Lamb. The Saccone camp seems to be banking on this strategy, take all the help he can get from big donors and politicians, and constantly reminding constituents that a vote for Saccone is a vote for President Trump's agenda. Thirty-three-year-old Conor Lamb comes from a local political family — but this is his first run for office so he makes a daily effort to knock on doors and introduce himself to voters. He tells them about his service in the Marine Corps (Saccone is a U.S. Air Force veteran) and his time as a federal prosecutor. Many voters supported President Trump because he was not a practiced politician; Lamb makes the same case, and tells them he will not accept Beltway gridlock. "I learned a lot becoming an officer in the Marine Corps ... one of the things that they teach you is to have a bias for action," Lamb told NPR this past week. "That requires a certain pragmatism." But his untested record in politics has become a talking point for Saccone and his campaign ads. One TV spot plays off the opponent's last name: "His name is Conor Lamb but in Washington, he'd be one of Nancy Pelosi's sheep." It is a charge the Lamb campaign takes seriously, and part of their strategy is to keep this race local. While Saccone is eager to tie himself to the president, Lamb is just as quick to distance himself from national Democratic leadership, which is unpopular with many voters here. He isn't taking money from corporate PACs and wants voters to know that he's a "Pennsylvania Democrat." That means appealing to blue-collar workers in the union-heavy state and walking a fine line on sensitive issues like gun control and abortion. Lamb is Catholic and pro-life, but says that is a personal view, not a political stance. "I'm running for Congress, not cardinal," Lamb said. "So I support a woman's right to choose because that's the law of the land, and I will defend and uphold that." If Lamb harnesses the energy of President Trump's critics, while managing not to alienate conservative Democrats, he could be the first Democrat in 15 years to win this seat. 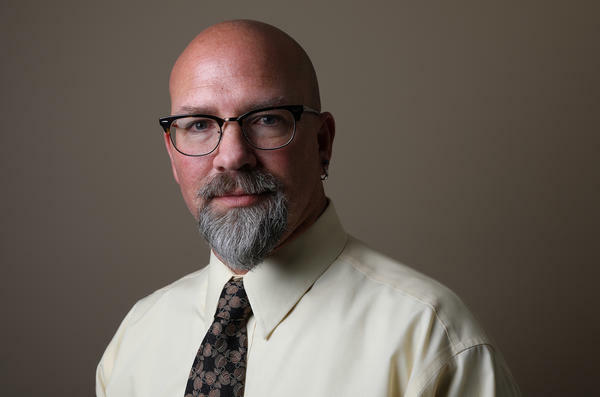 Dave Ball is the vice chairman of the Washington County Republican party, but he knows that parties only mean so much in this part of Pennsylvania. "I think that people here are probably more willing than in a lot of places to vote their conscience," Ball said, pointing to relatively low numbers of straight-party ballots. "It's an independent place." But working class voters will likely not be deciding the outcome of this election, says Terry Madonna who runs the Center for Politics and Public Affairs at Franklin and Marshall College. Those voters generally support the president and Rick Saccone. Madonna predicts Lamb's path to an upset boils down to one question: "Does he pick up white, college-educated women?" 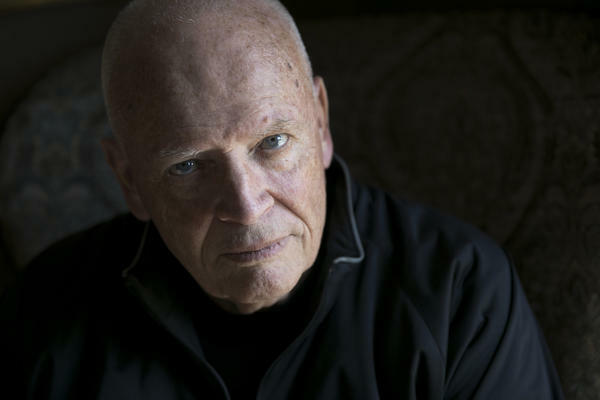 Women like 70-year old Kyle Tomer, who lives in Lamb's hometown of Mt. Lebanon. She's voted Republican for much of her life, but is supporting Lamb in this election and thinks there is excitement around his campaign. "I think our grassroots around here are pretty effective," said Tomer. "People that haven't been interested in politics, especially women — I see them organizing." The importance of this race to the national political landscape is reflected in the juggernauts who are coming to the area before the election: There's Pennsylvania-native Joe Biden, one of the few national democrats whose blue-collar appeal could help a democrat running in a conservative-leaning district. And on the other side, President Trump will hold a rally in the area before the vote on March 13. Lulu has been away this week in Pennsylvania, reporting on a special election. 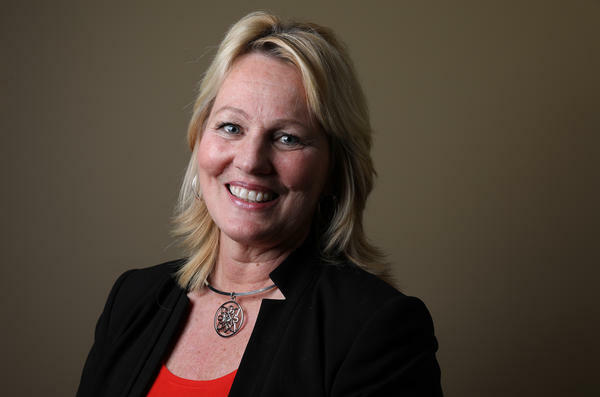 A House seat is open in the western part of the state after the Republican lawmaker holding that seat resigned amid scandal. It's a race that is being watched very closely by both Republicans and Democrats because of what it could say about the 2018 midterms. And the two parties are using very different strategies to woo voters when they go to the polls later this month. Lulu begins her report at this fundraiser at an upscale golf club where the Republican candidate is addressing his donors. LULU GARCIA-NAVARRO, BYLINE: Rick Saccone likes to say he was Trump before Trump was Trump. He's been a state lawmaker since 2010. He's tried to get public schools to teach the Bible. He wanted to make gun owners a protected class against discrimination. He's proudly, deeply conservative. And in this race, he's hoping to ride the president's coattails all the way to Washington. GARCIA-NAVARRO: And he's getting a lot of help from the Republican Party. Both President Trump and Vice President Mike Pence have come to speak to Saccone supporters. And tonight, Secretary of Labor Alexander Acosta is here to praise Trump's year in office and to send a message. Forget all that noise created by the media. ALEXANDER ACOSTA: The stock market - up more than 30 percent. And so I'd ask all of you when you go home tonight, check your retirement accounts. That is not a theoretical increase. GARCIA-NAVARRO: This district went almost 20 points to Trump in 2016. But this race is a whole lot closer than the GOP would like. A Republican loss here would not only be deeply embarrassing for the party, but it would show an erosion of Trump's support that could be a bellwether for midterm races in the rest of the country. The Republican Party machine and at least one Republican billionaire have pumped millions of dollars into pro-Saccone PACs. And the candidate himself is feeling good about the race. SACCONE: Everywhere I go, people are mobbing us. People want pictures with us. People are coming up to us. It's very encouraging. GARCIA-NAVARRO: I sat down with Rick Saccone before the event at the country club. SACCONE: Lulu, how are you? GARCIA-NAVARRO: I'm very well. Thank you. He told me there's no daylight between him and the president. Obviously, you've been endorsed by the president. And you have also said that you embrace his agenda. SACCONE: It's not necessarily his agenda. Remember, it's our agenda. That's the agenda of cutting taxes and enhancing our Second Amendment rights and protecting our unborn children and securing our border. That's the agenda that the people voted in. That's the agenda that I've been running on for a number of years now. So he's having a hard time enacting it because he's getting beat up. He's getting some resistance. And I'm an Air Force guy, so I use Air Force terminology. He needs some some wingmen down there to help him. GARCIA-NAVARRO: The 18th District stretches out over four counties, from the Pittsburgh suburbs out to rural, union-heavy areas. Voters have moved back and forth between parties over the years here. Dave Ball is a longtime Republican strategist in the area. DAVE BALL: I think that people here are probably more willing than a lot of places to vote their conscience. If you go to someplace like, you know, Philadelphia or, you know, maybe the inner city of Pittsburgh, you'll see 80 percent straight-party voting. Around here, 20 percent would be a big number. So it's an independent place. GARCIA-NAVARRO: And the Democratic candidate for the seat is betting on that. UNIDENTIFIED MAN #1: I'm still leaning. 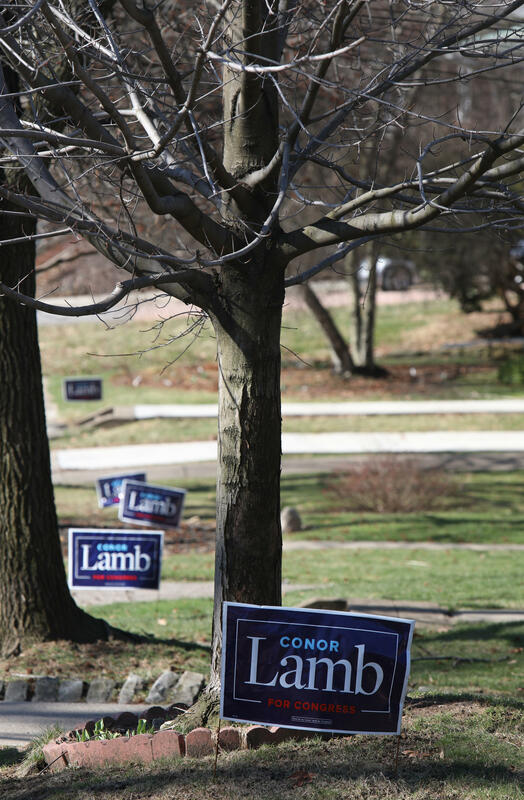 CONOR LAMB: OK - leaning which way? UNIDENTIFIED MAN #1: I'm kind of leaning both ways right now. GARCIA-NAVARRO: Conor Lamb is Saccone's opponent. He comes from a local political family. But this is his first race. And he spent a lot of time knocking on doors, introducing himself to voters. Today, he's at a coffee shop in his hometown Mount Lebanon in Allegheny County. UNIDENTIFIED MAN #1: I think your opponent hasn't been very mature in some of the ads he's run against you. That's one thing that's turned me against him. LAMB: My mother and grandmother would agree with you. GARCIA-NAVARRO: Those ads the voter is talking about have been flooding the airwaves here. And they have a very specific message. UNIDENTIFIED MAN #2: His name is Conor Lamb. But in Washington, he'd be one of Nancy Pelosi's sheep. LAMB: I mean, my people around here know that it's not true. So that is all that we need. I said on the front page of the newspaper on January 8 that I didn't support Nancy Pelosi. GARCIA-NAVARRO: More about that in a moment. So where do you to want to sit either way? LAMB: You guys can tell me. The first thing you notice about Conor Lamb when you sit down with him is that he really is part of a new generation in the Democratic Party. GARCIA-NAVARRO: That is young. And one of the criticisms that I have heard is that you are untested. And people don't know your voting record. Do you feel like that's like a liability? LAMB: No. I think that right now people want change. They don't want more of the same. And Mr. Saccone is offering more of the same. He's offering more of the partisanship, more of the gridlock. I am for getting things done. I learned a lot becoming an officer in the Marine Corps in this country. And one of the things that they teach you is to have a bias for action. So that requires, you know, a certain pragmatism. GARCIA-NAVARRO: Lamb is emphasizing his credentials as a certain kind of candidate. He's a former Marine Corps captain and a prosecutor who talks about putting heroin dealers behind bars. He's keeping the national Democratic Party and its leadership at arm's length. LAMB: One way I could describe myself - maybe it would be just as a Western Pennsylvania Democrat. And people around here know what that means. GARCIA-NAVARRO: It means that Lamb is trying to straddle the middle ground on guns and other controversial issues like abortion. LAMB: I am Catholic. And so I personally believe that life begins at conception. But I'm running for Congress, not cardinal. So I really believe in the separation of church and state. And so I support a woman's right to choose because that's the law of the land. And I will defend and uphold that. TERRY MADONNA: If you want to win that district, you can't run a liberal Democrat. MADONNA: One of the concerns that the Republicans have is that they're losing white, college-educated, female voters. So here's what we're going to look for on election night. 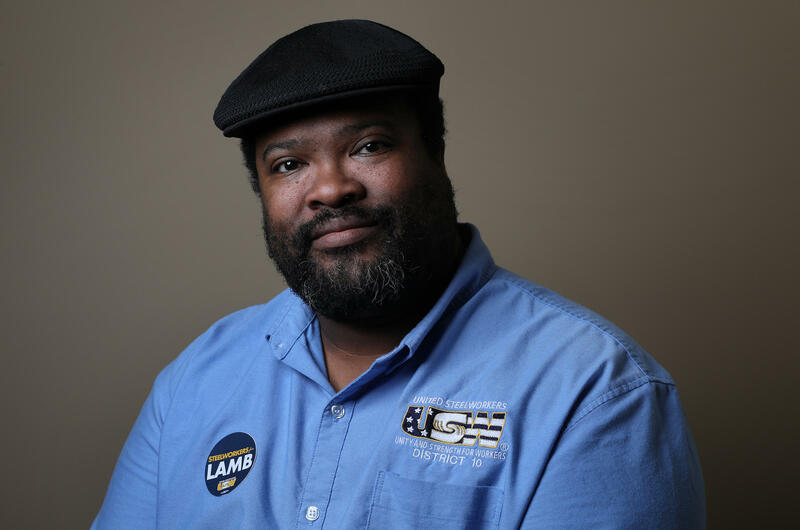 In southern Allegheny County, how well does Lamb do there, and does he pick up white, college-educated women? 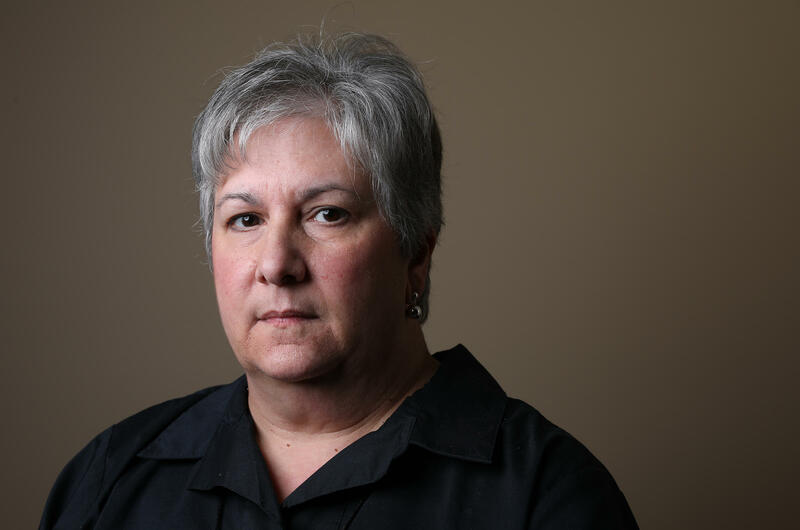 GARCIA-NAVARRO: Women like 70-year-old Kyle Tomer, who we met at the Mount Lebanon Public Library. KYLE TOMER: Yes, I do. I think our grassroots around here are pretty effective. I think there's a lot of little meetings, house meetings that people are going to. And people that haven't been interested in politics, especially women - I see them organizing and having, like, little huddle groups. GARCIA-NAVARRO: Mount Lebanon is pretty friendly territory for Lamb. But the real battleground is Washington County, where fracking and natural gas are now king. KEVIN COURTWRIGHT: Republicans are putting more people to work right now, so that's why I stick with that. GARCIA-NAVARRO: Especially in oil and gas, right? GARCIA-NAVARRO: That's like the - that's the thing. We meet 29-year-old Kevin Courtwright with his wife and infant daughter at an outlet mall in Washington, Pa. He's typical of a lot of folks around here, a union man who works in the energy industry. And he's emblematic of the reasons why people flipped parties in this county. Republicans are seen as less supportive of unions. And Saccone has held anti-union positions in the past. Democrats, though, are viewed as championing positions that have hurt the fossil fuel industries. In 2016, Kevin, who works on a gas pipeline, was out of work for ten months. And he blames that on Democratic policies. In the last election, he voted for President Trump. COURTWRIGHT: I was glad whenever Trump took over and was able to push the work orders through. GARCIA-NAVARRO: And how are things going now? COURTWRIGHT: Great - things are going great. I got lots of phone calls. COURTWRIGHT: Yeah, yeah. There's definitely demand. GARCIA-NAVARRO: Kevin says Saccone's union positions give him pause, but he's still leaning towards voting for him, even though his union has endorsed Lamb. In the end, for Kevin, it's about work and who he thinks will give him more of it. And if there were any doubt about the importance of this race to the national political landscape, look who's coming to town this week - Pennsylvania native Joe Biden, one of the few national Democrats whose blue-collar appeal could help a Democrat running in a conservative-leaning district. And on the other side, President Trump is expected to return to the area before the vote on March 13. MONTAGNE: And that was our own Lulu Garcia-Navarro in Western Pennsylvania. Transcript provided by NPR, Copyright NPR.